Yes, Virginia, there are fun, free events! Barbara-Jo's Books to Cooks is holding a number of free events in December at its Kitsilano store in Vancouver. First will be a seasoned pro from Farmstead Wines, hosting a free olive oil tasting on Sunday, Dec. 14 at 1 pm. The tasting features Renato Fenocchio olive oils, a selection originating from a small, family-owned farm in Italy. This rare selection of olive oils are traditionally harvested and hand selected. 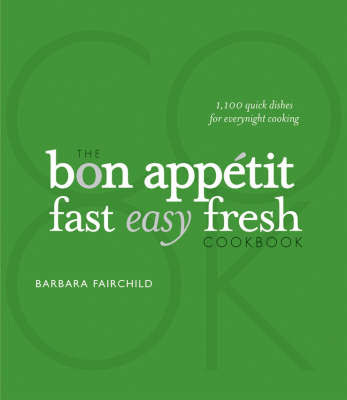 On Wednesday, Dec. 17 at 5 pm, Editor-in-Chief of Bon Appétit Barbara Fairchild is hosting a free reception and small demonstration from her new book, The Bon Appétit Cookbook: Fast Easy Fresh. The cookbook borrows the tried and true recipes from the magazine's popular Fast Easy Fresh column. After almost three decades developing Bon Appétit magazine, Fairchild has become a recipe expert of the highest regard. Both events are free, but call 604.688.6755 to register.